The distinction between accuracy and precision. If you took a university introductory statistics course, you may have learned the distinction between accuracy and precision. 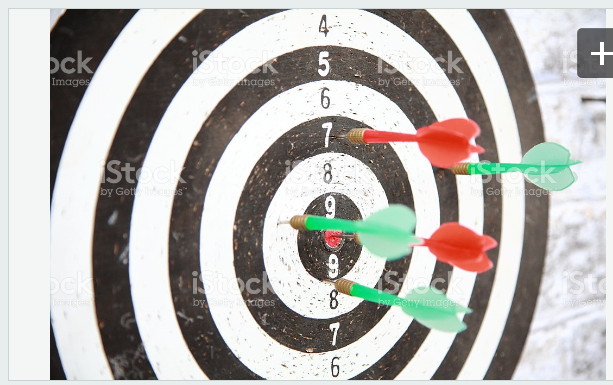 It may likely have been presented with an archery analogy, where ‘Accurate’ was represented by arrows loosely clustered around the target’s bull’s-eye, ‘Precise’ was shown as a tight grouping displaced from the center, and ‘Accurate and Precise’ was depicted as what every archer aims for, a tight grouping directly at the bull’s-eye. Suddenly, words that are used interchangeably in everyday conversation took on dramatically different meanings. After 17 months of deliberations since its first open meeting February 20, 2015 on NGS IVD assay oversight, the U.S. Food and Drug Administration (FDA) issued DRAFT guidance for Stakeholders and FDA staff. The document “Use of Standards in FDA Regulatory Oversight of Next Generation Sequencing (NGS)-Based In Vitro Diagnostics (IVDs) Used for Diagnosing Germline Diseases” was published online on July 6, 2016. This document (PDF located here) is for analytical validity and not for clinical validation. Recently, the FDA upped the ante in the ongoing debate over its desire to regulate laboratory developed tests (LDTs) with the release of a report detailing the ‘real and potential harms to patients and to public health’ arising from LDTs. This debate has been heating up for several years now—not coincidentally with the emergence of precision medicine and the rapid adoption of data-intensive tools such as Next Generation Sequencing (NGS) and the growing pipelines of targeted therapeutics. One might argue that the horse has already left the barn and the FDA are trying to corral it back in.